A guide by Josh at SolidSmack. A perfect step by step guide for Solidworks users to get their designs in to the Ponoko workflow. Our only additions are that you should use the new Inkscape templates and Starter Kit, and always double check that the colors you're using match the required RGB values. Data looks a little old though. 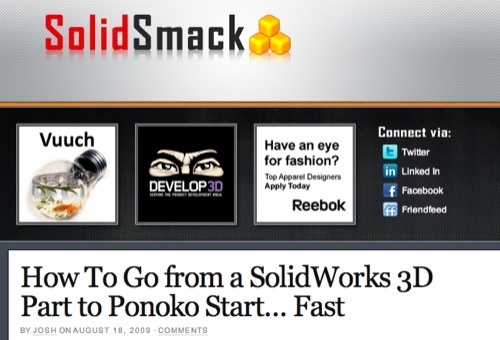 I wonder if there's more up-to-date info on using Solidworks for Ponoko 2d manufacturing?